Work will begin soon on the long-anticipated Slate Run Road Improvement Project. This infrastructure improvement project aims to bring bike lanes, improve drainage and stormwater systems, full curbs and gutters, and 5 foot sidewalks on both sides of the roadway. Utility companies are currently on site relocating lines to accommodate the project. Some lane shifts or closures may be expected with this utility relocation work. 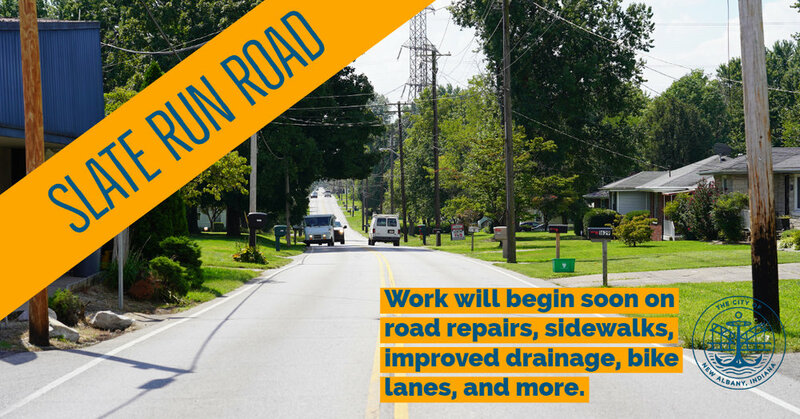 The roadway itself will undergo patching and repairing, and full reconstruction will take place in areas where necessary to fully repair the roadway. A new surface will be applied to the length of the roadway from Charlestown Road to Lochwood Apartments. Week of Jan 14: Utility crews are still relocating lines throughout the project area.